January 18, 2018 /in Body, Mind, self healing, Spirit /by Jennifer Rose LAc. A wonderful reminder to follow your own path and truly trust your own intuition. As a health practitioner and fellow human being I cannot stress enough how important it is to seek out information and then create your own truth when it comes to health and taking care of your body & mind. https://jenniferroseacupuncture.com/wp-content/uploads/2018/01/Jennifer-Rose-Acupuncture-Trust-Your-Intuition.jpg 2133 3200 Jennifer Rose LAc. https://jenniferroseacupuncture.com/wp-content/uploads/2018/01/JRlogomini.jpg Jennifer Rose LAc.2018-01-18 01:39:262019-03-19 12:23:15Trust Your Intuition! How Tiny is an Acupuncture Needle? January 18, 2018 /in Acupuncture, chinese medicine, healing, health /by Jennifer Rose LAc. Sometimes patients who receive injections from hypodermic needles (the common doctors office shot) fear that acupuncture will be painful. Acupuncture needles are flexible, thin, and compared to the size of human hair. About 30 acupuncture needles can fit into the opening of a hypodermic needle! Some experience no sensation while others feel when the needle stimulates the qi (body energy). Slight tingling and warmth is completely normal and most learn quickly how relaxing acupuncture can be! https://jenniferroseacupuncture.com/wp-content/uploads/2018/01/Jennifer-Rose-Acupuncture-Needle-Blog-318.jpg 261 350 Jennifer Rose LAc. https://jenniferroseacupuncture.com/wp-content/uploads/2018/01/JRlogomini.jpg Jennifer Rose LAc.2018-01-18 01:37:532019-03-19 12:23:15How Tiny is an Acupuncture Needle? January 18, 2018 /in Meditation /by Jennifer Rose LAc. Meditation impacts the way we think and feel and can improve health! As we practice on a regular basis, we are essentially retraining our body & mind to respond in a different way. Acupuncture also retrains the body’s stress response. https://jenniferroseacupuncture.com/wp-content/uploads/2018/01/JRose-Acupuncture-Zen1.jpg 960 960 Jennifer Rose LAc. 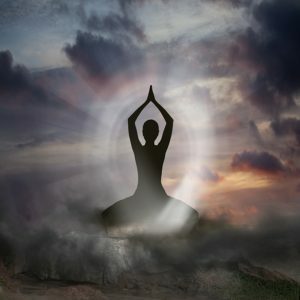 https://jenniferroseacupuncture.com/wp-content/uploads/2018/01/JRlogomini.jpg Jennifer Rose LAc.2018-01-18 01:36:412019-03-19 12:23:15Meditate for Health!